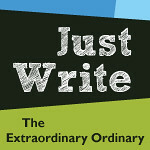 I'm blowing the dust off this little blog and wiping down the corners. No promises that it will stay this way, but I always have a lot on my mind and so why not blog a little for the new year. As I reflect back on 2013, it was a lot of things. It was exciting as I started my first semester of nursing classes in January and it was very hard as I completed 15 units in 10 weeks during the summer. Some days I feel like I'm getting this nursing thing and other days I feel like there is still so much to learn. And there is. But I love nursing and can't wait to see where it takes me. I never documented it on the blog, but last year I chose a word and verse for the year. 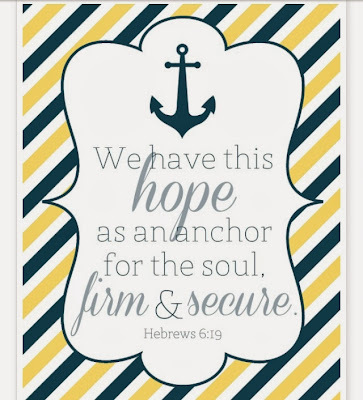 I clung to hope and this verse all year. Hope in the promises of God. Hope in the things he whispered to my soul. Hope for the future. Hope for the new things God is preparing for me. Hope that we would survive nursing school. I still absolutely love this verse. A few weeks ago I started to think about 2014 and to ask God what he might be calling me to focus on. I gave up "resolutions" a few years ago. I enjoy the idea of a fresh start, of new goals but I don't really make resolutions. But I believe God can use our calendar year to teach us new things and to show us how he wants us to grow. 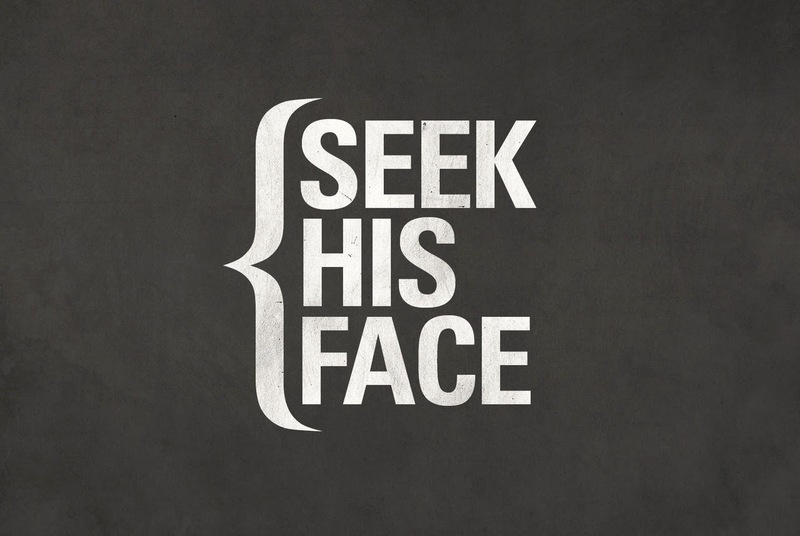 Almost immediately the idea of seeking God more was planted in my heart. I read a quote from Angie Smith about her new book Chasing God that struck me as well: "We've made a mess by desiring to understand him more than we want to know him." This past 18 months has been a huge faith walk for our family as I quit my job, took out loans and went to nursing school. It's been a juggle of schedules and times, tight budgets and high stress. I have spent an incredible amount of time asking God for help, for provision, for patience, for strength--for myself, for my husband and my children; along with interceding for friends and family with heavy burdens and great need. All of these are good things. But I'm afraid I've become wrapped up in the gift and forgotten to focus on the Giver. I've been seeking the answers to prayer and not seeking the one who answers my prayers. It's been with the best of intentions and I absolutely want God more than anything else in life. But I worry I'm a little off track. I look in God's word for his words of assurance and comfort in time of need. But what of Him? What of following after him and trying to be more like him? His word promises us that if we seek him first everything else falls into place (Matthew 6:33). My favorite scripture verse since high school as been Psalm 37:4; delight yourself in the Lord and he will give you the desires of your heart. I loved that all I needed to do was delight in the Lord, to know him and seek him, to worship and adore him, and he'd give me my heart's desires. (In fact I had the phrase "my heart's desire" engraved in Bean's wedding band). But the last few years, my focus has turned towards making sure God knew the desires of my heart and looking for the fulfillment of them. 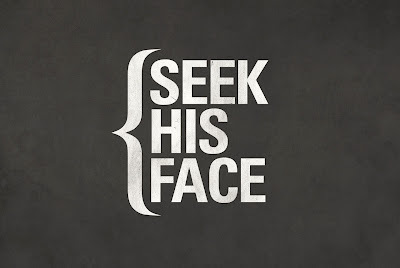 So this year, I'm going to seek God and him alone, with all my heart. Of course I will pray about the needs in our life and friends and family as well. Sometimes that's how the burdens of our hearts are relieved, to verbalize them to God. But first and foremost, I want to seek the Lord. This verse quickly was planted in my heart, even though I needed to look up where exactly it was in the Bible. 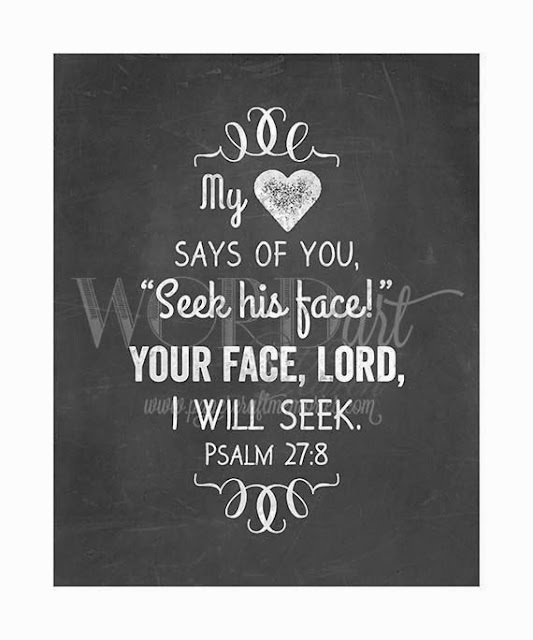 My heart is definitely telling me to seek the face of the Lord, and so his face I will seek. Jeremiah 29:13 promises that we will find God if we seek him with all of our heart. I want to find God in a new way this year. I want to know more. I want to delight in him again. Chasing God came in the mail yesterday and I'm already two chapters in. I downloaded Revealing Jesus by Darlene Zschech (one of my heroes and role models) on sale for just a few dollars to my Kindle app (it's on sale currently for under $6). I have a bunch of books on my Kindle to read this year to further my pursuit of knowing Christ more. Here's to a New Year, to seeking the face of God, to knowing him more, to finding him and always being amazed at his grace on me and all of us.